TS200 SERIES INFLATABLE FIXED HEAD | Dock Door Systems Inc. The TS200 series inflatable dock seal is designed in one piece for ease of installation and to maximize the tightest possible seal between interior & exterior environments for high volume traffic with consistent trailer widths & heights. 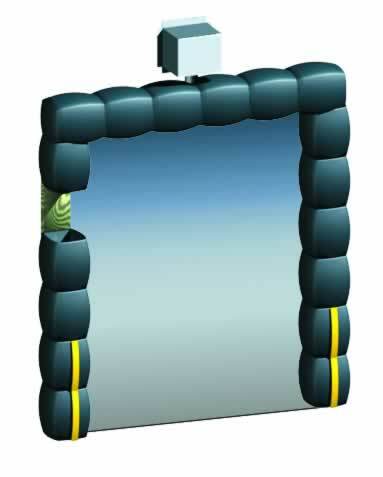 This three sided inflatable seal can be used in the same applications as the fixed head foam seal. Two durable standard fabrics are offered as well as optional pleated wear surfaces and varying projections and size options to assure customer satisfaction. An exterior blower motor with cover is standard.